The SDF and YPG spokespersons commented on the US initiative to form a so-called Border Security Force in northern Syria. According to the spokespersons, the new military formation will defend the borders of the self-proclaimed Kurdish federal entity. 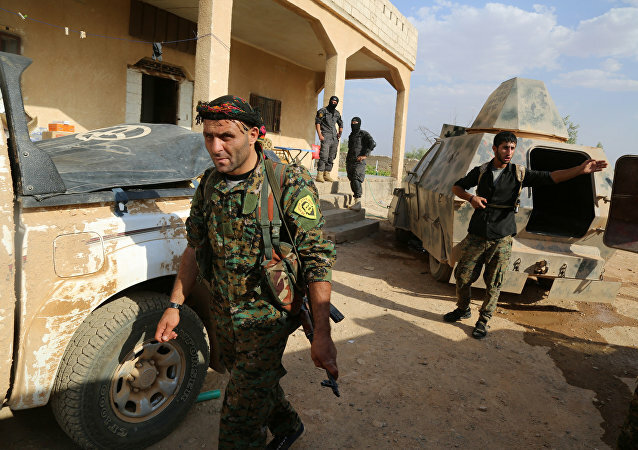 Turkey has been concentrating its troops around the Syrian city of Afrin from late Tuesday and is preparing to attack, a spokesman for Kurdish self-defense groups told Sputnik on Wednesday. Female reporter Nujiyan Erhan of the Kurdish RojNews agency who was covering fighting in northwestern Iraq has been severely injured, the news agency reports. Amid the intensive fighting for the liberation of the northern Syrian city of Manbij from Daesh jihadists, Hediye Yusuf, Co-President of the Rojava-Northern Syria Democratic Federal System Constituent Assembly, tells Sputnik Turkiye that when the city is fully liberated, it will join the autonomous Rojava - Northern Syria Democratic Federal System.